The A’PEXi Down Pipe is the pipe on turbo vehicles that connects the turbine exhaust housing to the catalytic converter. Although short in length, the A’PEXi downpipes provide incredible amounts of power because the piping diameter is enlarged so early on the exhaust system. This enlargement in diameter results in a dramatic increase in exhaust flow capacity as well as a significant reduction of back pressure. 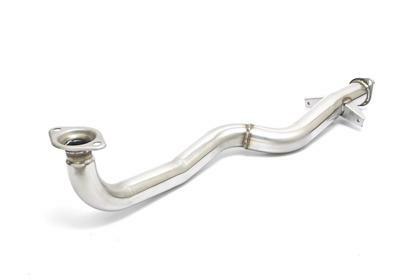 The GT spec Down Pipes are constructed of fully polished SUS 304 stainless steel.